Sometimes your next business adventure comes from the most unlikely of situations. Like many small business owners, Len Barker found himself diving into a new pool of opportunity after being introduced to a very real need in the world of genetic diseases and disorders. Barker’s business partner of over twenty years, Dave Jacob, learned that his childhood heart defect was actually related to a genetic condition. Not sure where this information would take their partnership, Barker indulged the ideas of his partner while he began seeking better answers to his new found medical questions. However, as Jacob began searching he shared a staggering fact with Barker – approximately 350 million people worldwide suffer from rare diseases, 80 percent of which are genetic, according to the Global Genes Project. 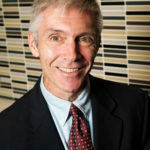 Barker, who is an engineer and co-founder for their joint software development and IBM Business Partner firm, Davalen, followed Jacob into the evolving world of IBM Watson™ to combine their knowledge of technology with the expertise of genetic counselors around the United States. Together, they commissioned a project to develop a new tool – ThinkGenetic. With the product beta released in June 2016, ThinkGenetic, is set to be a cutting-edge way to empower patients who want to know about possible genetic causes for their medical issues or obtain real-life answers to their questions about the impact of their genetic diagnosis. ThinkGenetic which is powered by IBM’s Watson™ “supercomputer,” will help people understand what questions to ask doctors in order to improve their medical care. While not claiming to be a medical diagnosis tool, ThinkGenetic does hope to speed time to diagnosis and reduce chances of diagnostic error. 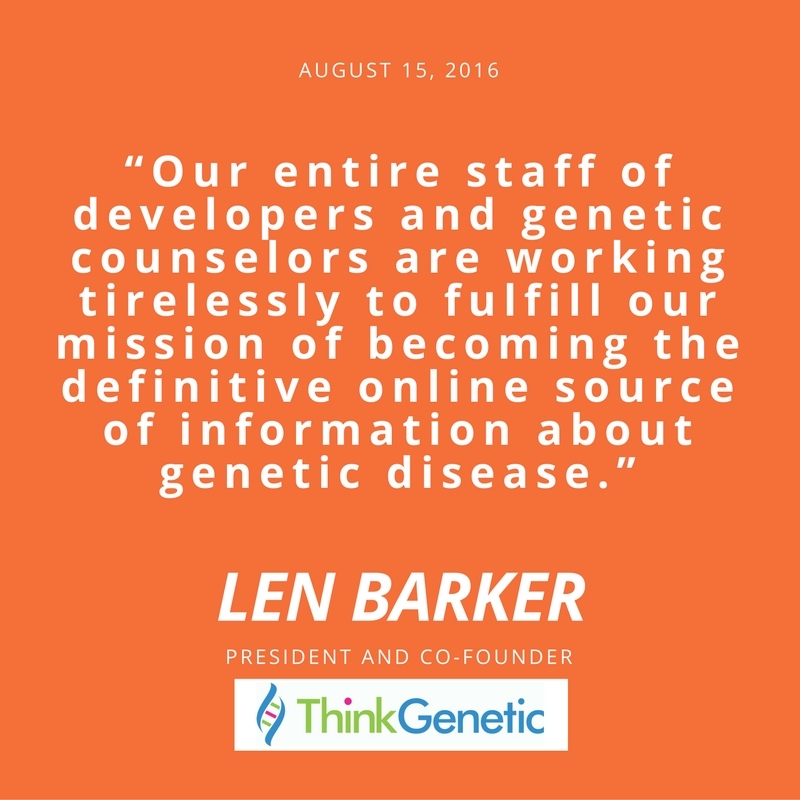 “Our entire staff of developers and genetic counselors are working tirelessly to fulfill our mission of becoming the definitive online source of information about genetic diseases,”said Barker. 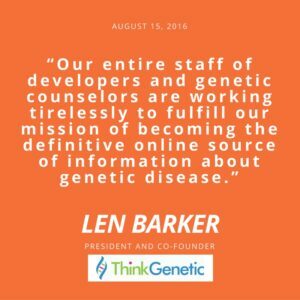 ThinkGentic has been awarded several grants which assisted with development of the project, Barker is now looking for champions and supporters in his community to help enhance ThinkGenetic and get the word out! Barker believes his team will be able to demonstrate the power of this resource tool to secure advertisers and larger supporters to cover ongoing development needs to ensure the information stays up-to-date, while keeping the project free to patients. Excellent article and use-case for Watson. Looking forward to reading about the success stories and outcomes! Thank you Paul. We are one of the first applications to become “With Watson” verified and will be listed in the IBM Watson app catalog when it is released at the end of this month. We are proud to work with IBM to serve the genetic disease community. Good article – thanks for posting.